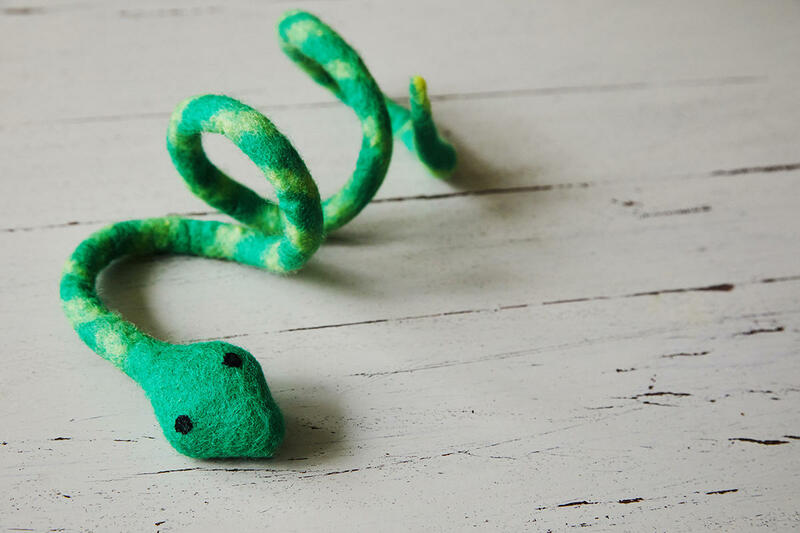 Available in 2 colour ways - Green striped or Blue striped and handmade from soft merino wool, our twisty snake toys are full of character and can be dangled above your cat or pulled along the floor for your cat to chase. 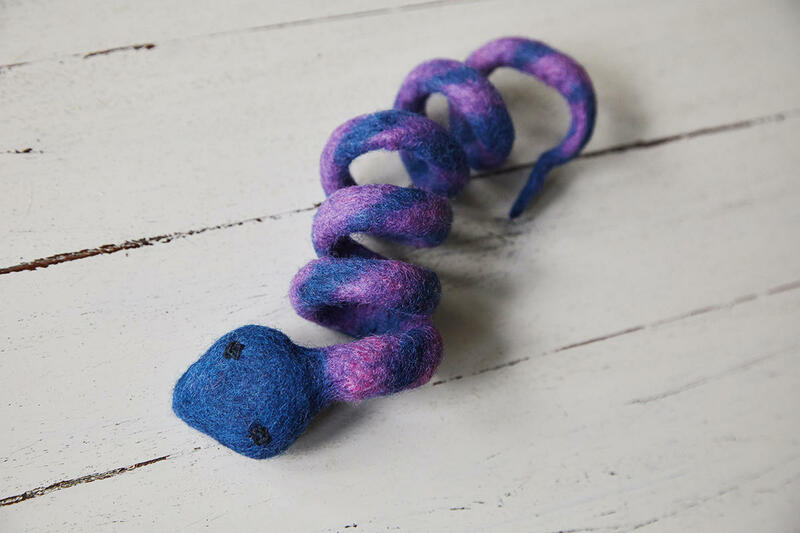 We infuse our felt snake toys in fresh, organic catnip herb and as the wool absorbs the natural oils from the herb, they become lightly scented, making them even more appealing! Please supervise your cat when playing with this toy and remove immediately if it becomes damaged or worn. Size: Each snake is approx. 70cm long when laid out flat but are lightly coiled so will appear much smaller than this. 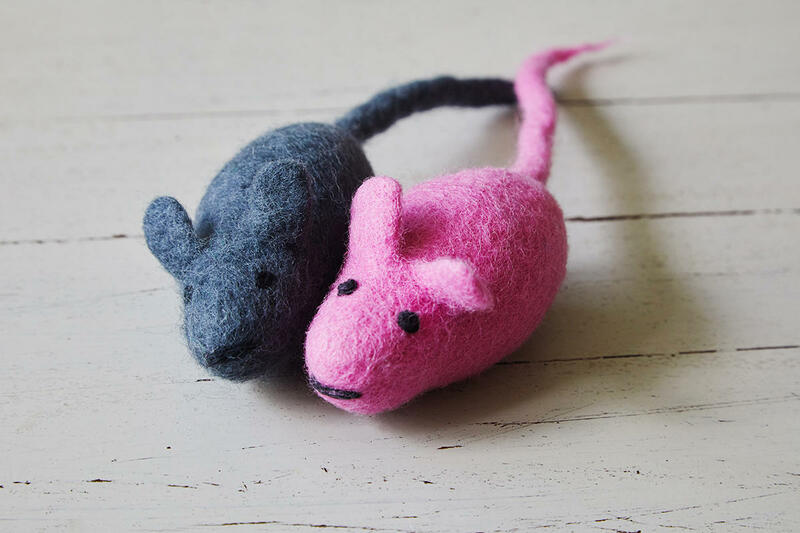 These snake shaped cat toys are hand-felted in Nepal by a community group. Our orders help bring valued employment to women in the Nepalese mountain villages. The snake toy is then scented with organic catnip and packed in Bristol. 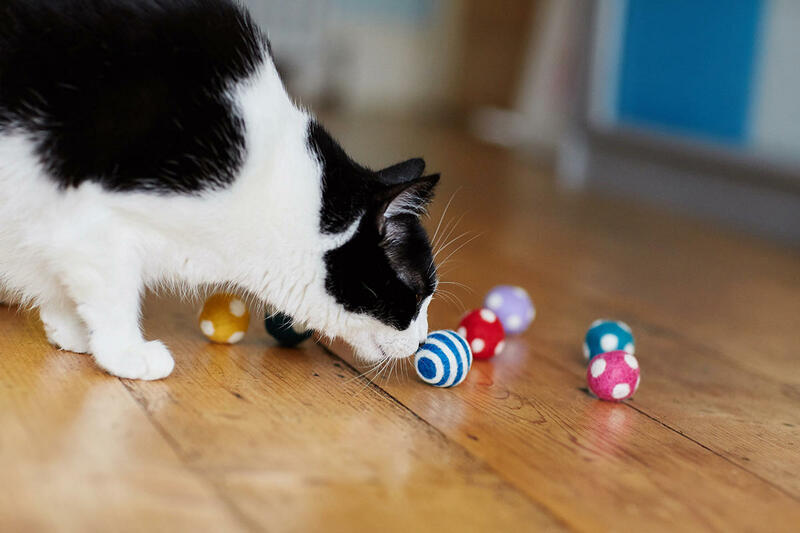 Please note that this is designed for your cat, particularly during interactive play but they do not contain catnip in their construction and are unlikely to incite the same reaction as our catnip toys. These are not children's toys and are not suitable for dogs.